Oh, gosh! That's just so sad...what a horrible ending for the deer...DAMN CATTLE!!!! Larry, livestock aren't going to be banned from public lands, at least not in our lifetimes. 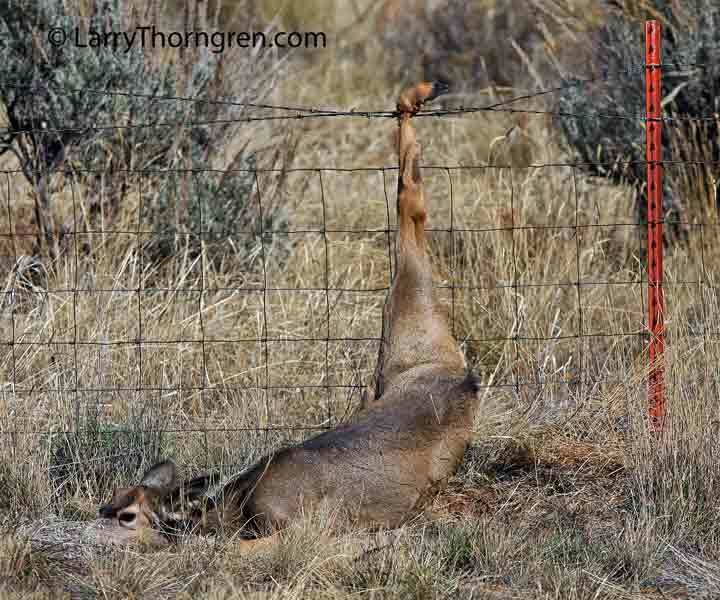 Plus, fences on private lands are also killing wildlife. Fences like the one in your photo are overkill (no pun intended). 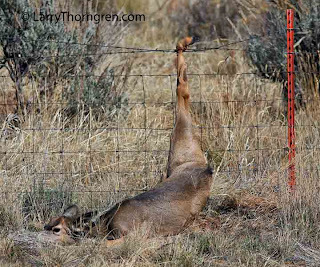 This raises the question as to whether BLM, and other federal, State and local agencies, have standards for fencing and, if so, do they take wildlife into consideration? BLM and the Forest Service, for example, have multiple use mandates and have to take wildlife into consideration in managing their lands. Let's find out if they're doing so. Unlike banning livestock, this seems feasible.